Researchers were able to directly write memories onto the brains of fruit flies. ((iStockphoto)) Researchers in the U.K. and U.S. were able to create an association in the flies' brains between an odour and an unpleasant experience, akin to an electric shock. The treated flies avoided the smell as if the bad memory had actually happened. "Flies have the ability to learn, but the circuits that instruct memory formation were unknown," Gero Miesenboeck of the University of Oxford said in a release. 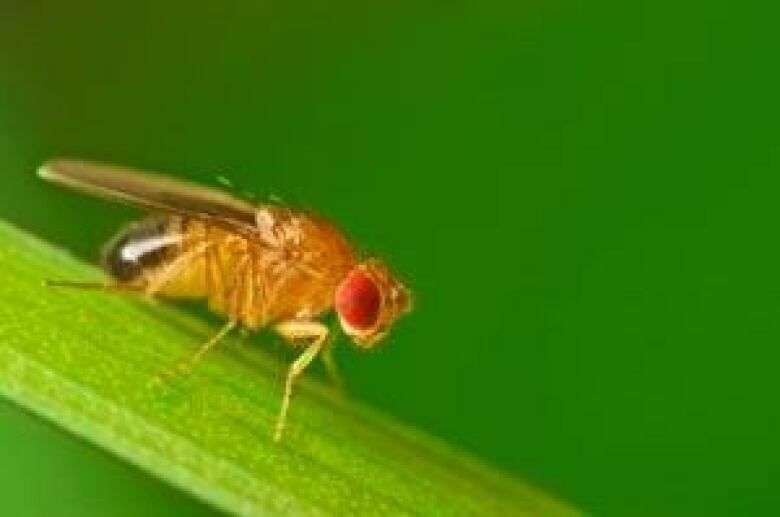 Miesenboeck and his colleagues were able to isolate a circuit of just 12 neurons in the flies' brains that was responsible for the memory. To "write" the memories on the flies' brains, the researchers injected them with molecules responsible for nerve impulses. The molecules were wrapped in a chemical "cage" that released the molecules when exposed to light. The caged molecules were genetically targeted to activate only certain neurons. So, instead of exposing the flies to an electric shock when a particular odour was present, they shone laser light on the flies, releasing the caged molecules and activating the targeted neurons. Initially, the researchers made guesses as to which areas of the brain would be responsible for the memory, but through repeated experiments, they were able to pinpoint the 12 neurons responsible. Miesenboeck said this technique could lead to a greater understanding about how the brain functions by directly stimulating circuits of nerve cells. He said study of the fruit fly brain can reveal a lot about how more complex brains work. "As a general rule, biology tends to be conservative. It's rare that evolution 'invents' the same process several times," he said.